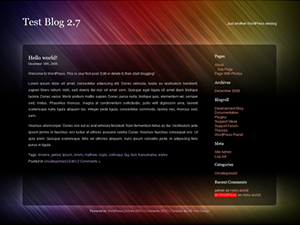 In the writeup of this theme on Web Tools, it says it’s compatible up to WP 2.7. Does this mean it supports threaded comments? One of the most original themes that I’ve seen. I like the way the colors go together. Thanks for sharing it. Lovely theme. Really like the colours.